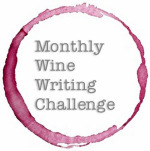 This post is part of the Monthly Wine Writing Challenge (#MWWC31) in which we are invited to write a post about a one-word theme and relate it to wine somehow. This month’s theme was Faith. I snickered when I read that as I had just finished warning my readers that there will be a bit of that in the upcoming posts. Consider yourself warned. And if you like what you read, please consider a vote in the competition. Nothing would be impossible. How different might our lives look if we believed that whole-heartedly? What if we took chances? Believed in our dreams? What if we had faith? It certainly required faith in the early years of the Texas Wine Industry. I think of those who saw beyond the cotton fields, those who believed grapes could thrive in the High Plains or the Hill Country. I think of the initial leap, the investment in vine stock, forgoing the sure thing for the dream. They began with what they knew and planted. There was faith required in the waiting. Waiting during the first three years before their labor produced fruit they could use. In the years beyond that in barrel, in the bottle. Waiting to see if their dream was possible. This waiting happens every year. Each spring, I feel a pulse of empathy for the growers, the winemakers, and all those who rely on the crop in one way or another. Bud break this year is early, perhaps too early. They have faith that it will sustain. A hail storm pummels, temperatures plunge, clusters are lost. Through floods and drought, insects and disease, they persist. They plant and prune, wait and plan, believing. It requires a kind of faith to build your life’s work and livelihood on something so acutely impacted by something so infinitely erratic. And then I remember that there is a reason they grow here. Things which may initially seem like challenges to overcome, create opportunities for the vine. Because of the struggles, the vine creates fruit with character. The regions with arid climates, the high elevations, the places which seem inhospitable can create the most beautiful fruit. I remember that the struggles have a purpose. If you had asked me about my faith last year, I may have cringed. Just the question has an almost Pavlovian response for me. Not because I am ashamed of my beliefs, but because I recoil from the idea of measuring it, defining it, limiting it. I won’t lie. There have been seasons of drought. There have been seasons in which I could not see beyond the mountain and didn’t have the strength to move anything. There have been seasons when I measure by comparing to others and I look at this puny worthless mustard seed and wonder what I’m doing wrong. And I’m starting to see that it may not be a “doing” issue, it may be in the “believing.” He tells us that all we need is a seed, so why do I think that its not enough? I am finding that by holding out, by holding up this little seed, and admitting that is all I have, that the impossible is happening. 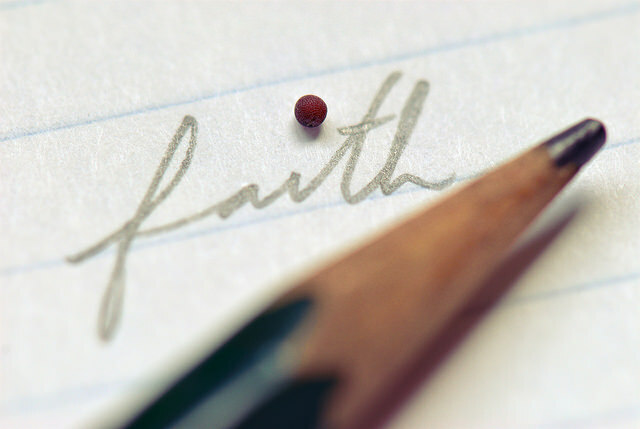 If I look back at that verse about faith, there is one more word I should emphasize: hope. Faith is tied to hope, to believing something is possible. It is in expecting that our dreams and desires have been planted for a reason. It is taking that mustard seed out of my pocket and being assured that if I plant it, it will grow. Beautifully written. Inspiring words. Amazing perspective. You have a God given talent my friend and when God gives us these gifts, He also hands over the responsibility of sharing it. Thank you for sharing it. Thank you for reminding us in our “world of wine” we write in, that faith is key in all we do. Without it… well, we wouldn’t be here doing what we all love. Kudos to you, your talents and your post in the competition and mostly to your faith. Thank you so much for your kind words and the charge to push myself in this way. You comment means more than you know. Bravo, an excellent take on what I found to be a difficult theme to get started on. Yes I do believe the Texas winegrowers must have had excellent faith, especially the pioneers. Thank you! I started going in too many directions. Had to trim it down! Hebrews 11:1 is one of my favorite verses and one I’ve always thought was the best definition of faith! Encouraged by your powerful writing and transparency. He who began a good work in you will complete it . . . . keep the faith, friend! Thank you! Thanks for the inspiration. Perhaps I’ll complete the other angle in that verse one day soon! Well done! You are right, faith and hope are eternally linked. Thank you, Anatoli. I wrote several more paragraphs and had to cut way back. It’s a work in progress…the writing and the faith! Great post! You are so right that faith inspires hope. A lesson I’ve been learning these past several months. With patience, perseverence, and fervent faith, hope can be fulfilled. Cheers! Thank you! Always lessons in the big and small things. Thanks for reading.